FT stands for Friendly Tonometer. Friendly because of the very silent and soft air pulse. This makes the FT-1000 very convenient for the patient. The 5.7 inch coloured touch screen is used as operating monitor as well as for displaying all measured values. You can even move the head in all directions by simply touching the screen. All commands can be done via touch screen. The handling of the FT-1000 is very easy – it does almost everything by itself. Alignment and measurement are done automatically. 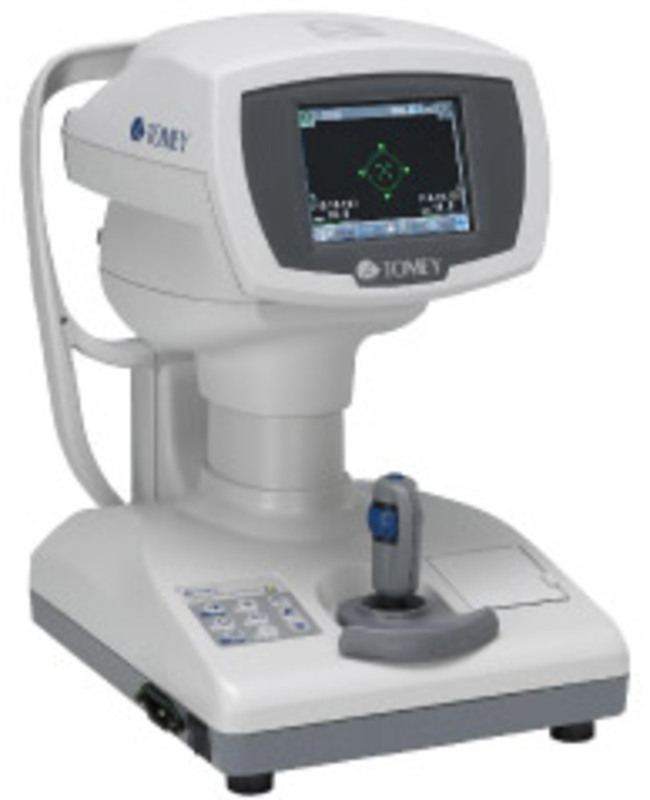 You just roughly align the system towards the patient‘s eye and the rest is taken care of by the instrument. With a tip on the screen the system automatically moves to the left or right eye. If you choose the multi shot option the system produces up to three air pulses in an extremely short sequence (0.1 seconds each).